RESERVATIONS MUST BE RECEIVED BY February 11th, 2019. 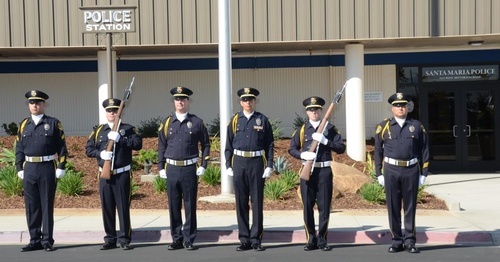 The Santa Maria Valley Chamber of Commerce Proudly Presents the Annual Police Awards! Join us as we come together to honor the sworn and civilian members of the Santa Maria Police Department for going above and beyond the call of duty to keep our community safe. Nominated by their peers, it is truly a unique opportunity for the department, community leaders, and everyday citizens to recognize the outstanding work this department does every single day. We will be honoring the following: Officer of the Year, Dispatcher of the Year, and Life Saving Award , Distinguished Team Award, and more! Sponsoring an officer is your chance to say “THANK YOU”. Help the Santa Maria Valley Chamber of Commerce commend those who have gone above and beyond the call of duty by supporting this momentous event.